In ‘The Rosie Project’, Don Tillman decides that it is time for him to find a wife and so he creates a detailed survey which he thinks will assist him in finding the type of person who he will be most compatible with. Of course at that point in time he meets Rosie, who is nothing at all like the ideal person the survey results would indicate, and yet is everything he needs and wants. Now in this sequel to ‘The Rosie Project’, Don Tillman has survived ten months and ten days of marriage and has a new project to launch: The Baby Project! Because even though Don reminds Rosie that it is incorrect to say so, she says, “We’re pregnant!” Is Don Tillman ready to become a father and will the ensuing chaos of another challenge to his previously ordered life going to risk the already precarious relationship that he and Rosie have? 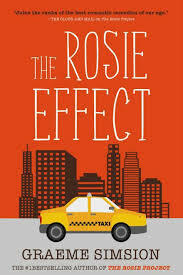 ‘The Rosie Project’ was brilliant and I loved it, but in ‘The Rosie Effect’ the magic of the original story is lost. I would not bother with this tedious instalment, for it has sadly not delivered at the same level as the first. There are some funny bits, but it is just not worth the slog through 400 pages to find them. As the Guardian reviewer astutely quipped, this sequel (as with many) is twice as long and half as good. This entry was posted in Fiction and tagged Graeme Simsion, The Rosie Effect. Bookmark the permalink. So disappointed! Loved the first one! I agree, although I can understand how he might not have wanted to let the characters go just yet, I’m not sure it was just the money (although for the publisher it may have been)! It remains a mystery how some series can go on and on without losing interest at all. I just noticed I commented on this book… and I suppose that shows that it’s unwise to come to conclusions based on preconceived ideas. 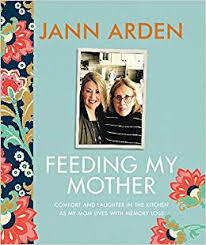 I loved this book as an easy read which made me laugh aloud repeatedly — that’s rare.